After the nonprofit advocacy Postpartum Progress updated its Facebook cover photo to a long tunnel with a bright light at the end earlier this week, someone commented, “Is that a train?” That question perfectly sums up the mood of many of the more than 35,000 followers of the page, who learned in a post last Tuesday that the organization—which is considered a lifeline by women who suffer from postpartum depression—was being shut down. Postpartum Progress was a nonprofit advocacy group for women suffering from perinatal mental illness founded by Katherine Stone, who suffered postpartum depression and anxiety with the birth of her first child in 2000. Stone began to blog about her experience in 2004, and in 2011, the nonprofit was founded. Along the way, Stone and the organization amassed a huge following, and according to a 2014 CNN report, half a million women accessed the blog annually. 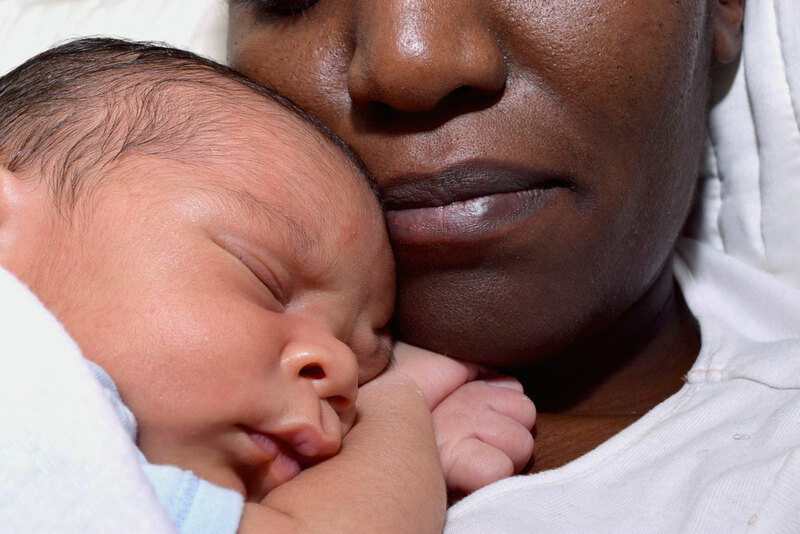 On February 28, Postpartum Progress shut down following the resignation of Graeme Seabrook, a woman of color, and allegations of racism from other women associated with the organization. News of the organization’s dissolution was met with angry comments on Facebook from women who not only looked to Postpartum Progress for support but also had volunteered time and donated money to the organization. An overwhelming majority of the comments accused Stone and the board of “taking their ball and going home” rather than working to address the allegations of racism. Others asked in stark surprise what had happened. On February 24, Seabrook, who is still listed on the website as an education assistant, penned a post on Medium titled “The Weight of the Last Straw.” Without identifying Postpartum Progress by name, Seabrook explained her reasons for resigning, specifically describing an offensive “passive aggressive” comment on a Facebook post made by the CEO of an organization for whom Seabrook worked. That same day Stone apologized to Graeme publicly on a Facebook post. Two days later, a petition was posted on ipetitions calling for either (1) the removal of the CEO [Katherine Stone] and the board and replacement with a new CEO and board “that is reflective of the community of maternal mental health . . .” or (2) dissolution of the nonprofit “that was built for white women that has a legacy of continued harm against women of color. . . .” At the time of writing this article, the petition had 380 signatures. On February 27, the board posted a statement on Facebook that referenced Seabrook’s resignation and went on to say that the organization would be conducting investigations into claims of racism made by staff and volunteers; that it was working with a multicultural competency expert and invited members of the Postpartum Progress community to reach out to this person with input; and that it intended to become a stronger organization and a more inclusive community. That post was also met with angry comments, including from Seabrook. Exactly 24 hours later, the board announced on Facebook that “with heavy hearts” they had decided to shut down the nonprofit. “This has been going on for years,” said a mother who has been a member of the Postpartum Progress community since 2015 and who wishes to remain anonymous. The source is a 42-year-old white mother of one from the Midwest who suffered a severe mood disorder following the birth of her child in 2014. She had volunteered with the organization and raised money for its annual event, Climb Out of the Darkness. She has no firsthand knowledge of the events related to allegations of racism or the resignation of Seabrook, but says that when several women of color say they were treated poorly, she believes them. We are in the process of working with a major nonprofit to transfer all funds remaining after we pay our current obligations. This nonprofit will set up a Patient Voice Advisory Council that will be led by a woman of color on their board and will be comprised of patient advocates, half of whom will be women of color. This council will advise on the use of the funds transferred from Postpartum Progress. This has been an extremely painful process for everyone involved in Postpartum Progress, our employees, our directors, and most importantly, our volunteers and the moms in our community. We are working diligently to ensure that beyond our funding—which will go into good hands—our blog and other support services for moms will remain available on the Internet for free. For support and information, visit Postpartum Support International. To connect with other pregnant or new Solo Moms, join our closed Facebook Group ESME Pregnancy. If you are experiencing postpartum depression, seek medical help, and we invite you to join our Solo Mom Community . There’s no need to suffer alone!